Successfully Added P9 Household Intelligent Projection- 1280x800 Native Resolution, 4K Support, Quad-Core CPU, 800 lumen to your Shopping Cart. The P9 projector is a magnificent home cinema projector that allows you to enjoy all your favorite movies and series like never before. This Full-HD projector projects the films of your liking onto your wall in stunning 1080p resolutions. Along with its top-end built-in speakers, it truly treats you to a cinematic experience. This LED projector furthermore supports 4K media files. Thanks to this, you’ll be able to play and enjoy all the latest films and series without encountering any loss in quality. With its LED light source, the LED projector puts forth absolutely stunning visuals. You’ll be able to enjoy mesmerizing detail and vivid color like never before. 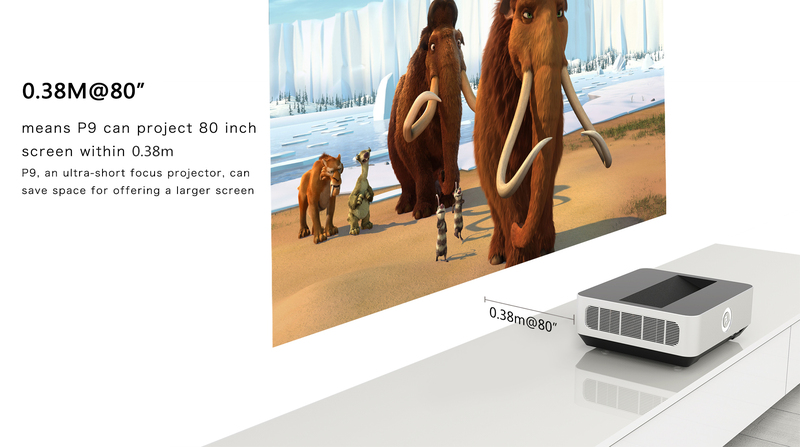 This LED projector is capable of producing up to a whopping 800 lumen. This means that you’ll be able to undergo a stunning visual experience in any room in your home. With its massive display size and breathtaking resolutions, this LED projector truly makes you feel as if you were watching your films in a cinema. It features a Quad-Core processor and holds 2GB of RAM. Thanks to this, it allows you to play basic games, enjoy applications, and watch films without dropping a frame. The LED projector furthermore supports WiFi. This means that you’ll be able to browse the web straight from your projector without needing to attach it to your laptop or PC. With 16GB of internal storage available, this LED projector offers plenty of storage for you to keep all your files. 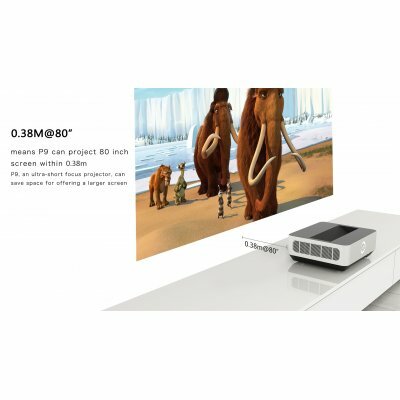 To further increase your overall media experience, theP9 Projector supports 3D media. With this stunning LED laser projector at your side, you’ll be a step closer to achieving your dream of owning your private home cinema. Whether its films, games, or Apps – the P9 Projector handles it all. The projector supports a wide range of inputs which makes it extremely easy to hook it up to your TV, PC, or laptop. Although this LED projector has mainly been designed to meet your entertainment needs, it also is great for giving presentations and conferences. The P9 Projector comes with a 12 months warranty, brought to you by the leader in electronic devices as well as wholesale electronic gadgets..